Home / Digital Marketing / What is Digital Marketing? Digital marketing has become one of the most popular buzzwords the last couple of years. Everybody is talking about digital marketing and professionals praise it’s the way to grow an online business. If you type the phrase ‘digital marketing’ in Google trends, you will see that there is a clear upshift in search terms related to digital marketing. Universities advertise their new digital marketing courses and in general there is an increased demand from users to learn more about digital marketing and how to use it to improve their online presence. In this guide we will examine what is digital marketing, what are the various digital marketing channels, what is a digital marketing strategy and clear out some misconceptions about digital marketing and its role in the Internet world. What do we mean by a digital marketing strategy? What is the role of a digital marketing manager? What is digital marketing? Digital marketing is a broad term that encapsulates all marketing channels and methods you can use to promote products or services on the Internet but also on electronic devices such as TVs, mobile phones and electronic billboards. The main difference between digital marketing and traditional marketing is that digital marketing campaigns are executed exclusively through digital channels and this gives marketers more control, tools and data to analyze the effectiveness of a campaign. Digital marketing has a number of channels and these can be separated into online marketing channels and offline marketing channels. The main difference between the two is that online marketing channels are based solely on the Internet while offline marketing channels have to do with digital devices which are not necessarily connected to the Internet. A website is the focal point of all digital marketing campaigns. By itself is a very powerful channel but it’s also the medium to execute most of the other online marketing campaigns. Your website should represent your brand, product and services in the best possible way. It should be fast, mobile friendly and easy to use. Search engine optimization is the process of optimizing your website for search engines. The main goal of SEO is to help a website rank higher in the search results and get organic (free) traffic from search engines. PPC advertising gives you the ability to reach internet users on a number of networks through paid ads. You can setup PPC campaigns on Google, Bing, Linkendin, Twitter, Pinterest or Facebook and show your ads to people searching for terms related to your products or services. PPC campaigns can segment users based on their demographic characteristics (age, gender etc) or even their particular interests or location. Every time a user clicks on your ads, you pay a fee to the provider (and thus the term pay per click). The most popular PPC platforms are Google Ads and Facebook. PPC Campaigns and SEO make up what is known as Search Engine Marketing (SEM). Content marketing is all about the content. The digital world is a huge collection of content in different forms like text, images, audio and video. The goal of a content marketing campaign is to reach potential customers through the use of content. Content is usually published on a website and then promoted through social media, email marketing, SEO or even PPC campaigns. The difference between having a blog versus running a content marketing campaign is that the later has specific goals as to what content to publish, when to publish it, who to target, and how to monitor the effectiveness of your content campaigns. Despite the increase use of social media networks, email marketing is still one of the most effective digital marketing channels. Many people confuse email marketing with the hundreds of spam email messages we all receive per day, but that’s not what email marketing is all about. Email marketing is the medium to get in touch with your potential customers or the people interested in your brand and this entails that these people want to hear from you and you are not hijacking their inbox. In fact, many successful online businesses and marketers use all other digital marketing channels to add leads to their email lists and then through email marketing they create a number of funnels to turn those leads into customers. Social media marketing has to do with reaching people in the various social networks either through content marketing campaigns (postings), paid ads or both. The primary goal of a social media marketing campaign is brand awareness and establishing social trust but as you go deeper into social media marketing, you can use it to get leads or even as a direct sales channel. Take for example Facebook. A Facebook sales funnel consists of 3 major steps. The top of the funnel is awareness. This is the stage where you can use Facebook ads to introduce your brand to Facebook users. Your goal at this stage is to get your ad in front of as many people as possible and gain new followers. The second step is consideration. At this stage your goal is to get people (that showed an interest in your brand) and pass them through the middle of the funnel and get them to visit your website, engage with your page, install your app, send you a message, etc. The third step is conversion. This is the final step where you try to convince people that enter your funnel to convert. A conversion can be anything that has value for your business like a sale of a product or service or a visit to your store. As you can see in the diagram above, for each funnel stage, you have a number of options as to which type of campaigns you can use. Affiliate marketing is one of the oldest forms of marketing that has grown considerably with the rise of Internet usage. Basically, with affiliate marketing you promote other people’s products and you get a commission every time you make a sale or introduce a lead. Many well-known companies like Amazon have affiliate programs that pay out millions of dollars per month to websites that sell their products. When designing your digital marketing strategy, you should include affiliate marketing as a way to get people involved in your brand and sell your products for a commission. In other words, when you have a product or service to promote online, you should consider setting up an affiliate program where people can sign up and find resources and material they can use to promote your products on the Internet. They will get a commission as a reward but the benefits for you as a provider are much more. Your affiliates cannot only drive more sales but they can become the best representatives of your brand and positively influence other people to buy or connect with your company. 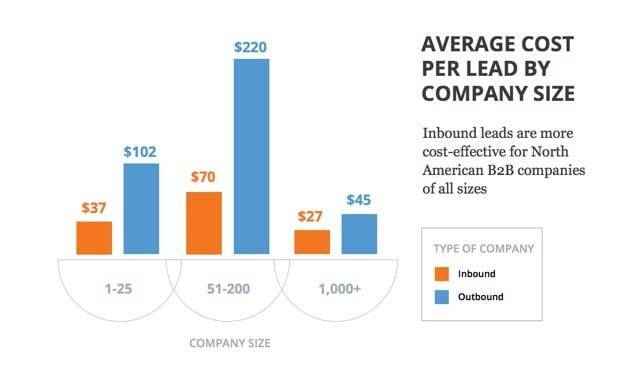 Inbound marketing is another fancy term that refers to how you can use various digital marketing channels to reach new customers mainly through the process of content creation and how to ‘push’ them through a funnel until they convert. The main elements of inbound marketing are: content, attention, engagement, trust and satisfaction. All these elements have a single goal: to help businesses connect with their potential customers and establish a channel of by bi-directional communication with them that will lead to more sales. All digital marketing channels have similar sales funnels. What differs in many cases is the terminology used to describe each stage of the funnel. In general, a digital sales funnel has 3 main goals: to get people learn your brand, to get them engage with your brand (either through your website or app), and to get them to convert. Mobile marketing refers to the process of reaching customers in the different mobile app stores such as Google Play, Apple app store or Amazon marketplace. 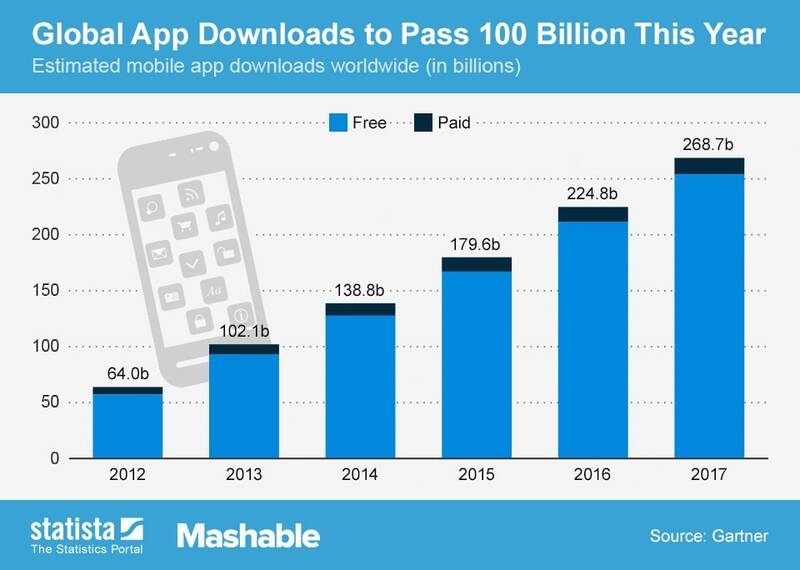 These app stores have thousands of apps and millions of users per day. With mobile marketing you can promote your apps either through paid advertising or through other methods (cross app promotions etc. ), so that they can be seen and installed by more users. Note: Mobile marketing is not the same as having a mobile friendly version of your website. Making your website mobile friendly is a must and necessary otherwise your website won’t show up for Google searches performed on mobile. Mobile marketing is about creating an app and uploading that app to Google Play or other app stores for users to download. Video marketing is something relatively new but recently is has become so popular that you simply cannot ignore it. YouTube has become the second most popular search engine and a lot of users are turning to YouTube before they make a buying decision, to learn something or just to relax. YouTube is just one of the mediums you can execute Video marketing. There are so many other platforms like Facebook Videos, Instagram, Vimeo to use to run a video marketing campaign. The best way to take advantage of video is to integrate them in your SEO, content marketing and social media marketing campaigns. Running standalone video campaigns can be costly and does not always create a positive return on investment, but when video is used as part of your other campaigns, the ROI is justified. We will examine below some examples on how to use Video marketing as part of a digital marketing strategy. The channels described above are the most important components of digital marketing. These are the channels that can be executed through the Internet (thus the term online marketing channels) and in many cases, it’s the only ones you need to use to have a strong online presence. 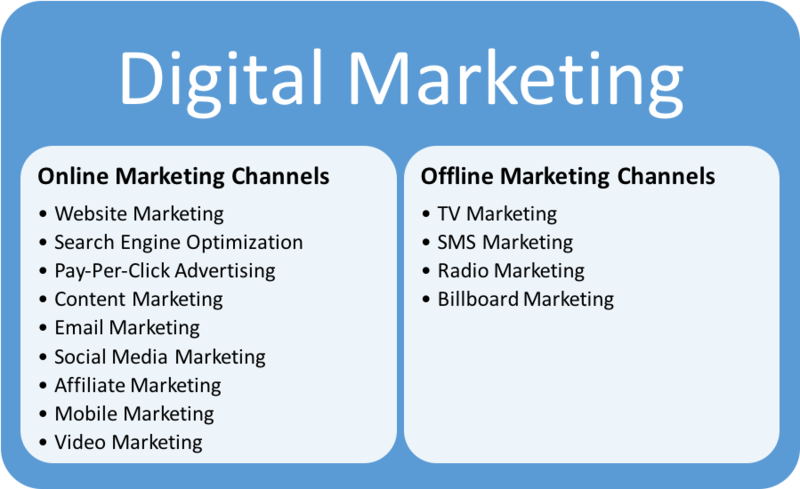 The offline digital marketing channels described below are still used but they are not suitable for all companies. For example, a small business does not have the funds to advertise on TV or electronic billboards. TV marketing is not dead, on the contrary is a marketing channel that will experience a boost in the coming years. Currently TV advertising is not 100% targeted. Marketers can only make assumptions based on the statistics they have from a limited amount of people. The adoption of Web TV will change this dramatically. Marketers will be able to target audiences based on a number of factors and make informed decisions as to what content to produce. SMS marketing is still an option to get in touch with potential customers, although not among the most powerful. There are better alternatives these days like push messages on the web and mobile and also on Facebook messenger. Nevertheless, SMS marketing can be used to get more visits to your local community store. Radio marketing is another tool you can utilize but not so effective as other methods. The main issue with radio marketing is that you don’t know exactly the return on your investment. When you pay for a radio ad, you can only assume on the amount of people that heard the ad, based on the number of listeners the particular radio station has. Radio marketing is still good for local businesses though and small communities that are not so affected by the social media mania. Billboard marketing is considered to be part of digital marketing. Electronic billboards are available in a number of public places (think Times Square billboards or Super Bowl commercials) and it’s another more traditional channel in your digital marketing arsenal. A digital marketing strategy is a detailed plan on how you can utilize the different digital marketing channels to achieve your business goals. When you design a digital marketing strategy you need to consider which channels to use, the resources (people, time and money) to assign to each channel and what to expect in terms of results. A common mistake made by many digital marketing managers or small business owners is that they try to execute everything at once and at the end of the day they get no results. Either because don’t have the necessary expertise to run digital marketing campaigns or because they end up spending their budgets on channels that are not suitable for their business. Although each and every digital marketing strategy is unique and based on the specific needs and goals of a business, you can read below an example to help you understand how all marketing channels can work towards a common goal. Example: Digital Marketing Strategy for a company selling digital products (online courses, ebooks, etc.). Step 1: Website – The first step is to create a website that is fast and mobile friendly. The website should have several landing pages (or sales pages) to present the company and its products. 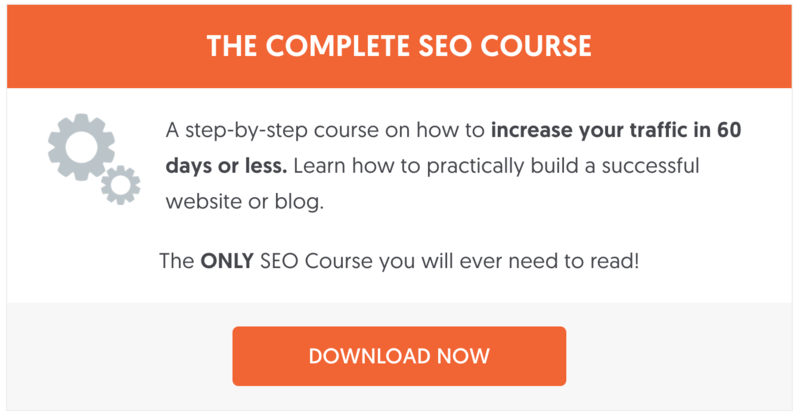 Step 2: SEO – The next step is to perform an SEO Audit and identify which areas need to be optimized for SEO. Technical SEO should be tackled first, then On-Page SEO and last Off-Page SEO. How to promote it (can include social media channels, email and PPC campaigns). Step 4: Social Media Marketing – Utilize all social media marketing campaigns to promote brand awareness and sales. Identify which social media channels are suitable for marketing your business (based on customer profiling) and create a schedule for publishing content on those networks. At the same time, start creating lists of influencers and other people that are most likely to be interest in your products or share your content on social media. Step 5: Email Marketing – Start building an email list using several CTA areas on your website and social media channels. Your initial goal is to get people to sign up for your newsletter or register to download free material or register for free trials. Create several email marketing funnels to get ‘push’ your subscribers from the awareness stage to the conversion stage. Step 6: Pay-Per-Click Advertising – In parallel to the above activities setup an AdWords Campaign to target people searching for product related keywords on Google and remarketing campaigns on Facebook to go after users that visited your website but did not convert. Step 7: Video Marketing – Part of step 3 above is to identify for which topics / keywords you can create video content. Publish your videos on a dedicated YouTube channel, on Facebook, Instagram and any other platforms you are targeting in your campaigns. For each video create a blog post on your website and embed the video with text content. Step 8: Mobile Marketing – Consider creating a mobile app which users can download from the App Stores that will include your latest news and ways for people to access your courses through your app. 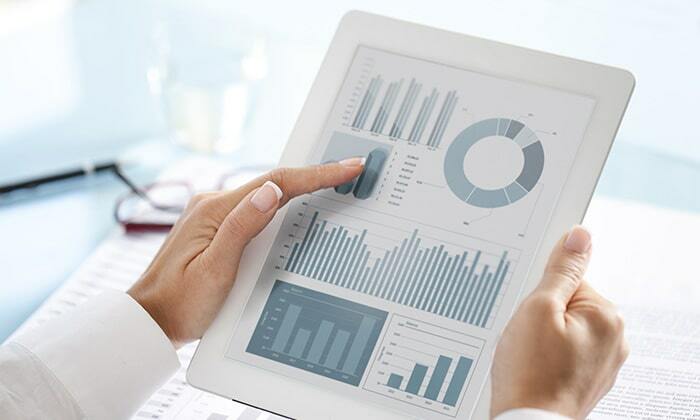 Step 9: Measure and Analyze the results – Ensure that you have Google analytics installed and configured correctly and that you can accurately measure the effectiveness of the above campaigns. Create an excel sheet and add for each campaign details about the cost, number of visits, number of conversions, people reached etc. The above it’s just a summary of what your digital marketing strategy should include. If you are a small business with limited resources then it’s normal that you won’t be able to execute the whole plan from the very beginning. What you should do is that is follow a step-by-step approach starting with your website, SEO and content marketing. Once you manage to have these in place for a number of months, you will gradually experience an increase in traffic and revenue and then you can add the other tools to the mix. The role of a digital marketing manager is to create a well-defined digital marketing strategy. It’s his job to decide which channels to use, where to allocate the budget and in what order. The DMM has also the role to oversee the work of the other managers and make sure that everybody is working towards the same goals. SEO Experts are not digital marketing managers. A digital marketing manager has a broad understanding of ALL digital marketing channels and not just SEO. Most successful digital marketing managers are experienced SEO’s who have working experience with other marketing channels as well. See also: Should you hire an SEO or Digital Marketing Manager? A content marketing manager is responsible to create and execute the content marketing plan. He is the person to decide what type of content to create and what channels to utilize. He is responsible for the promotion of a company through the various social channels. 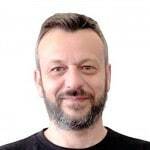 He works closely with the content marketing manager to push the right content to the right people at the right time. Depending on the team structure, you many decide to have a dedicated SEO manager that can assist the Digital Marketing for SEO related tasks. A PPC manager is responsible for running paid campaigns on the different platforms, mainly Google Ads, Facebook Ads (including Instagram) and Bing. PPC managers can become certified in Google Ads or Facebook, which another way to prove their qualifications. The job of an email marketing manager is to ensure that any email leads created through all the other channels are entered into suitable email funnels that will eventually lead to conversions. 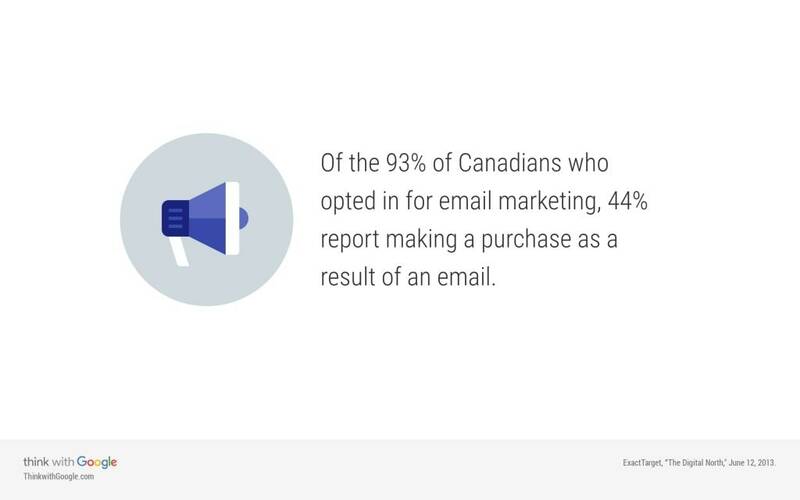 Sending a newsletter every now and then is not email marketing. A proper email marketing campaign turns leads into customers and this is the reason you need to have a dedicated manager to monitor these activities. The term ‘digital marketing’ is relatively new and that’s why it has become common for people to use it even in cases where they mean something different. Internet marketing is a sub-set of digital marketing and is not the same thing. Internet marketing or online marketing refers to the methods you can use to run campaigns on the Internet. 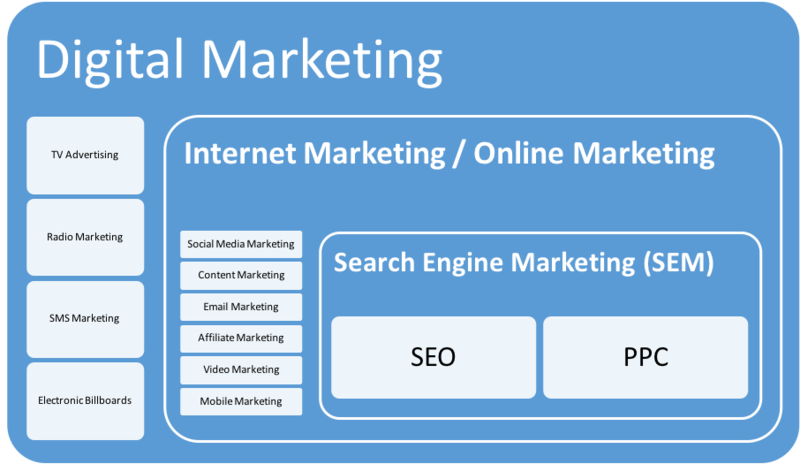 As shown in the diagram above, the main components of Internet marketing are: Search Engine Marketing (which includes SEO and PPC), Social media marketing, content marketing, email marketing, affiliate marketing. Mobile marketing and video marketing. Digital marketing is over and above online / Internet marketing as it includes other digital channels as well. When you have an active presence in social media, you are essentially running social media marketing campaigns and not digital marketing campaigns. Social media marketing is just one of the components of digital marketing. To fully experience the benefits of digital marketing, you need to add more digital channels to your plan. Digital marketing is all about marketing on the internet and the other electronic devices. It’s not a single process but it consists of a number of sub-components which you can use depending on what you want to achieve. Not all methods work for all businesses, that’s why it’s important to come up with a digital marketing strategy that will detail how you will utilize each process. A digital marketing manager is the person responsible to monitor all digital marketing activities. He needs to have broad knowledge on how the internet works so that can decide which marketing activities are more suitable for a given project. Other typical members of a digital marketing team are: content manager, SEO manager, social media manager, email marketing manager and PPC manager. Ohh!! Incredible article about digital marketing…You just not explain what is digital marketing,but also describe thoroughly all concept and modules of digital marketing..here I also learn digital marketing is not a single term it’s consist of several models like- SEO, SEM, email marketing, social media marketing, Mobile marketing..etc. I think all business need digital marketing because it’s more targeted towards audience and also gives better ROI than Traditional advertising approach..
Really appreciate you for that amazing detailed article on Digital marketing. Thanks a lot for your comment. Yes, Digital marketing has a number of components and a good digital marketing campaign should include as many of those components as possible. Very well explained and detailed post. Few of my doubts also cleared. Digital Marketing is my interest area. Loved to explore more and more. Thanks for sharing this informative post. Digital marketing is a fascinating area to get involved. Take it step-by-step and explore all the disciplines to get an idea of what it takes. All the best with your digital marketing efforts! Your article answered the What and How factor of “Digital Marketing”. I most like Online Vs. Offline Marketing segment. Thanks for this simple & strong content to explain digital marketing. For sure, the same would be shared with the students to refer to better understand digital marketing easily. Great! What an amazing article! Every small business looking for hiring a digital marketing!! Keep it up the great work you are doing!!! Thank you for sharing things to know about digital marketing. Thanks a lot. This article is a big help to the amateurs who are still learning digital marketing. Glad I could help! All the best with your digital marketing efforts. Very good article but i also want to know more about tools used to measure effectiveness of digital marketing.